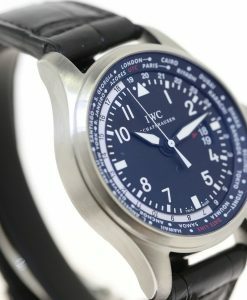 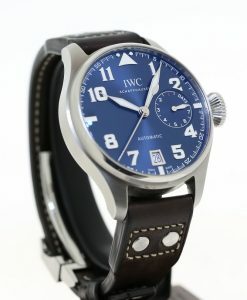 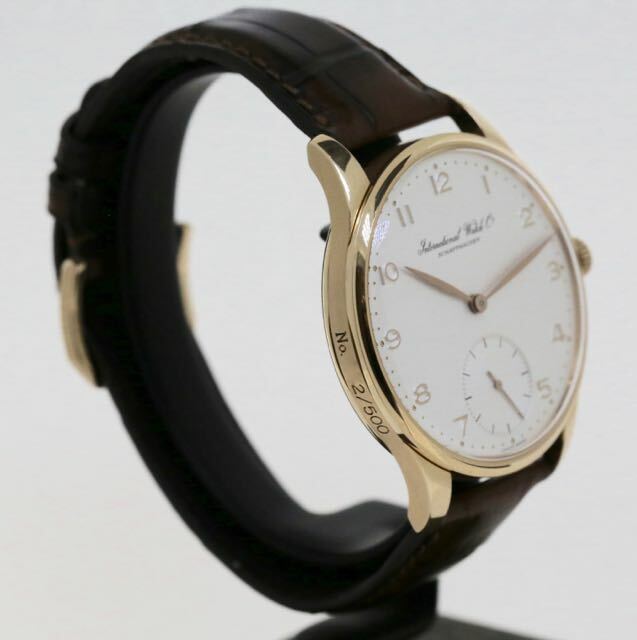 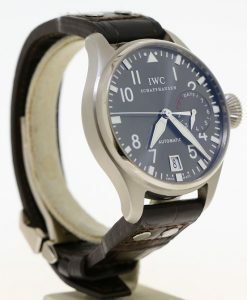 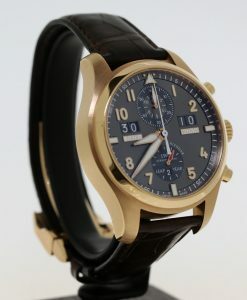 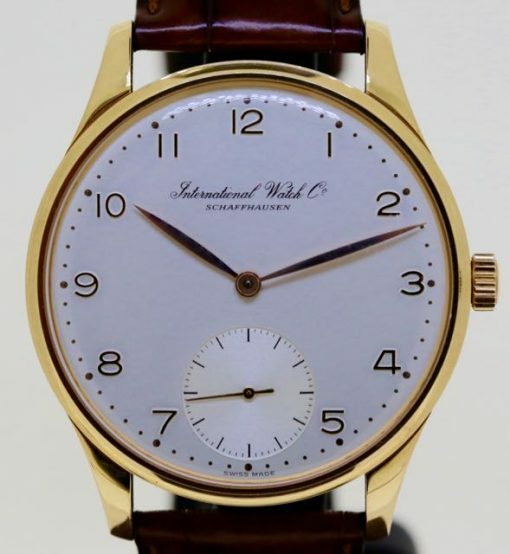 Rare rose gold IWC Portuguese Jubilee Ref: 5441, 125th Anniversary Limited Edition 332/500. 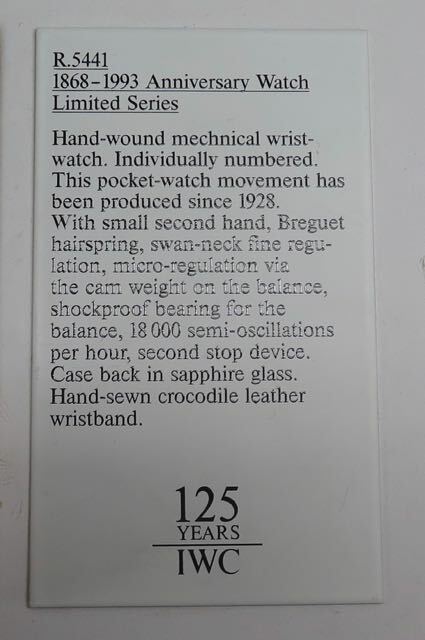 It has an alligator strap with a rose gold tang buckle, and an acrylic crystal. 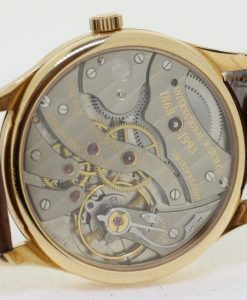 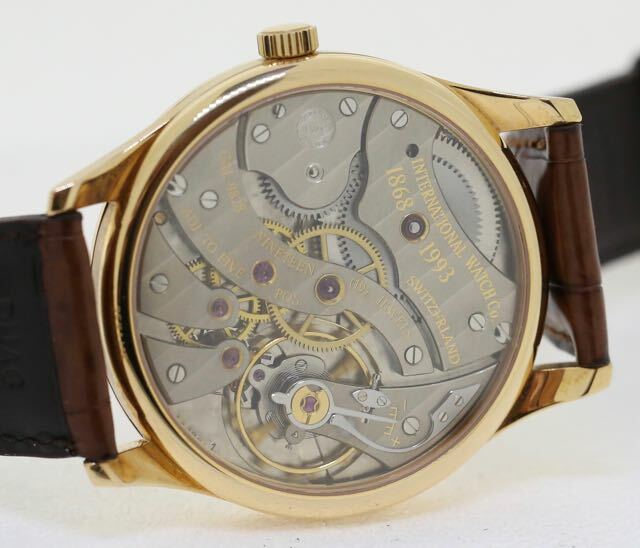 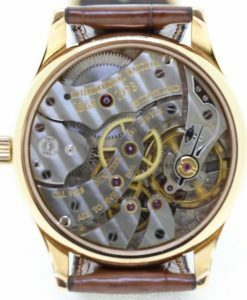 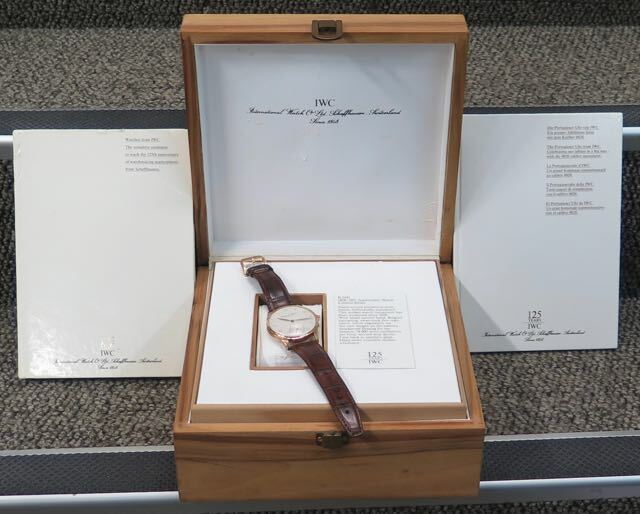 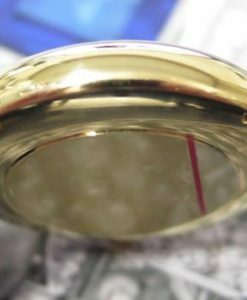 It has an exhibition acrylic display case back, with gold engraved letters on one of 5 bridges recognising the 175th anniversary of the company, “International Watch Co. – 1868-1993. 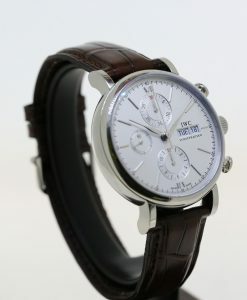 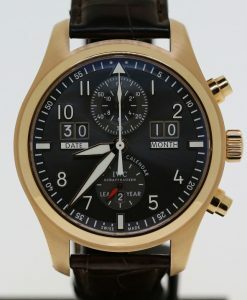 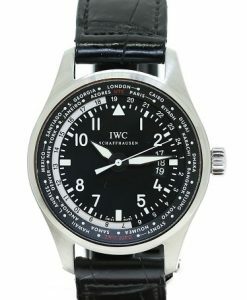 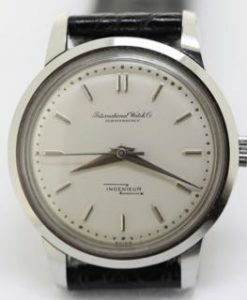 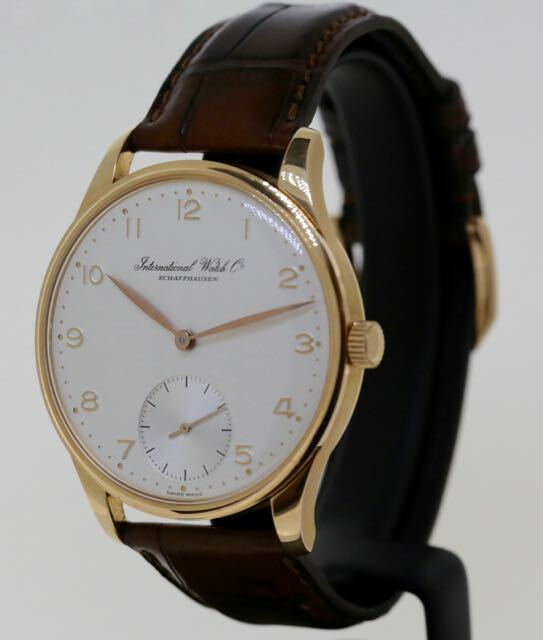 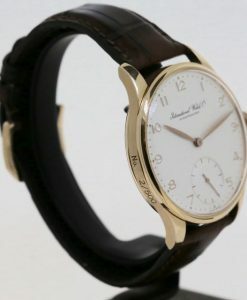 The dial is white with applied rose gold Arabic numeral hour markers, and luminous dots around a perimeter minute track. 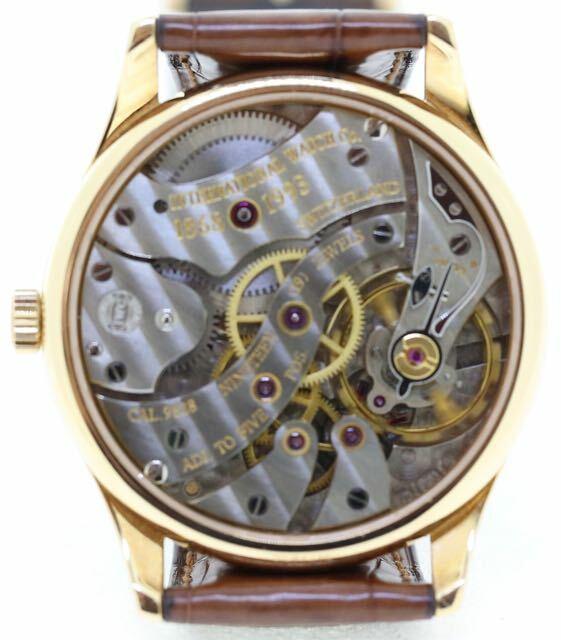 The 42mm x 10mm thick case, dial, and movement are all signed. 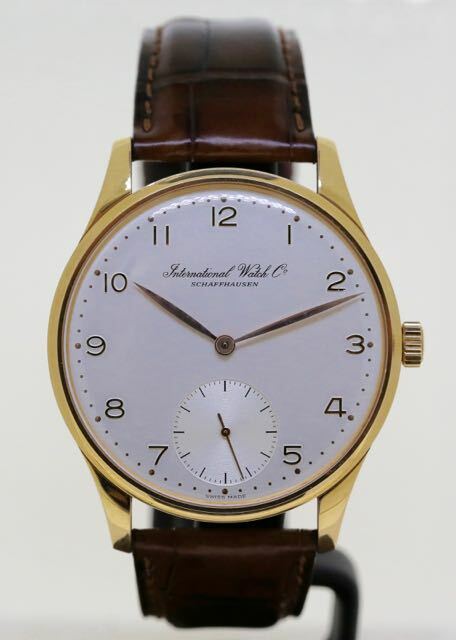 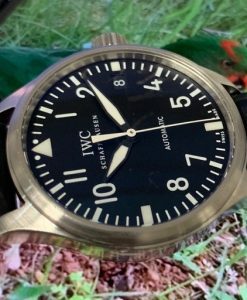 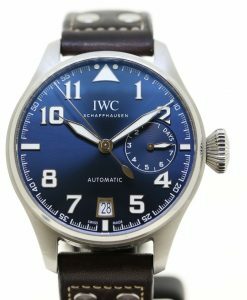 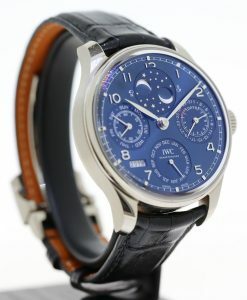 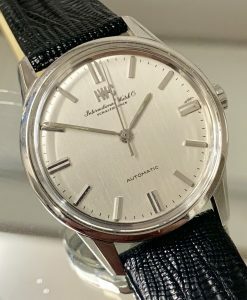 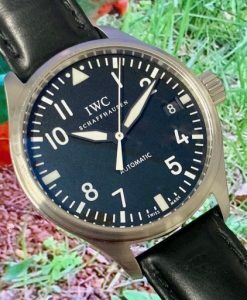 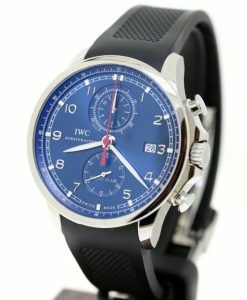 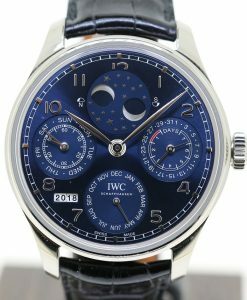 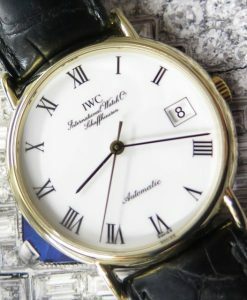 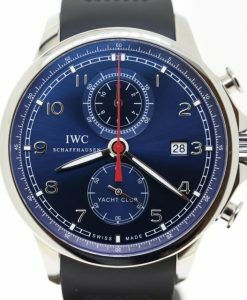 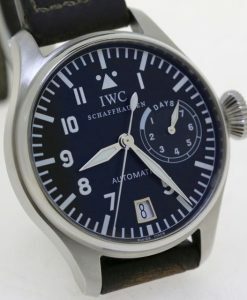 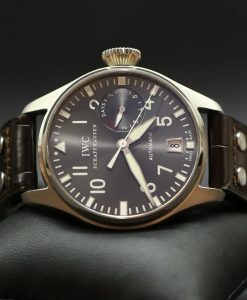 Send Enquiry for IWC International Watch Co Schaffhausen Portugieser Jubilee reference 5441 18ct 0.750 rose gold limited to 500 pieces, full set. 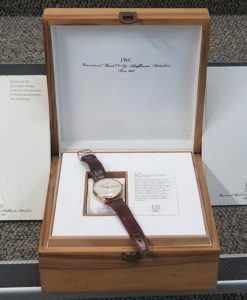 3 piece with display case back. 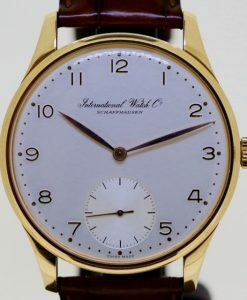 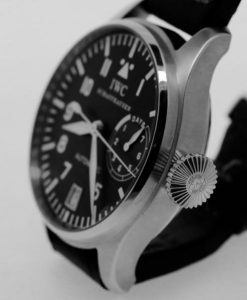 Hand would IWC pocket watch movement, swan neck fine micro regulation, 18,000 semi oscillations. 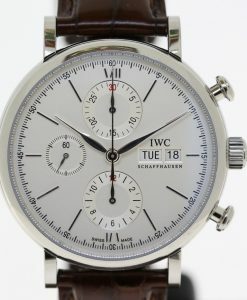 Silvered dial with applied numerals, subsidary second hand. 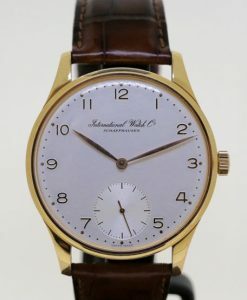 rose gold sword type hour & minute hands and red second hand. 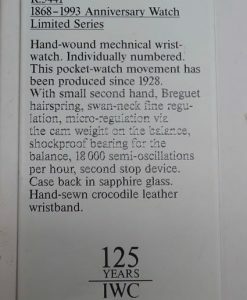 IWC brown crocodile 22mm tapering to IWC rose gold 18mm buckle. 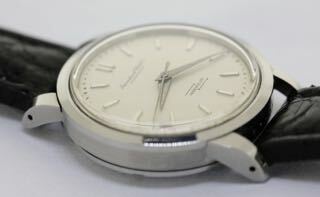 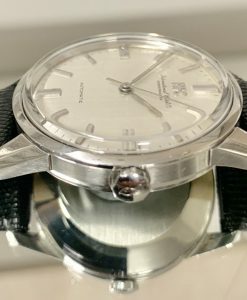 Case diameter is 42mm, Case height is 10mm.